Dublin City councillors are angry with the city managers over how the bin collection service was privatised, saying residents are confused over what’s happening. DUBLIN CITY COUNCILLORS will hold an emergency meeting tonight over the privatisation of the bin collection service in the city, which has been criticised as “a disaster”. 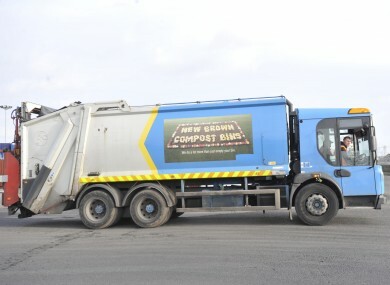 Councillors say that residents have been left confused over who and how they should be paying to ensure their bins are collected and that the changeover from the Council to Greyhound Recycling has not been managed efficiently. Residents were not informed of the changes in a timely manner, bins were left out on the streets for days and people have been confused about the paying of arrears. The new system, introduced last week, means 140,000 residents in Dublin city have to register an account with Greyhound to ensure that their bins are collected. Moynihan criticised City Council management for not allowing for enough time to ensure a smooth handover of the the service, saying it could have averted “chaos”. The confusion could lead to an increase in illegal dumping, Moynihan said. Last week Greyhound Recycling said it would offer a new payment plan for customers which would allow them to pay the €80/€100 annual fee in instalments rather than upfront. The current charge for each large black bin lift will stay at the current cost of €6 per lift until at least June when it may be changed. The smaller black bin will cost €3.60 per lift and the brown bin will be €2. The green bin collection remains free of charge. The special meeting takes place at 6.45pm in City Hall on Dublin’s Dame Street tonight. The Labour Party group, the largest party on the Council, have put forward a motion asking Council managers to explain exactly how the changerover was managed. Email “Emergency meeting over Dublin city bins 'disaster'”. Feedback on “Emergency meeting over Dublin city bins 'disaster'”.